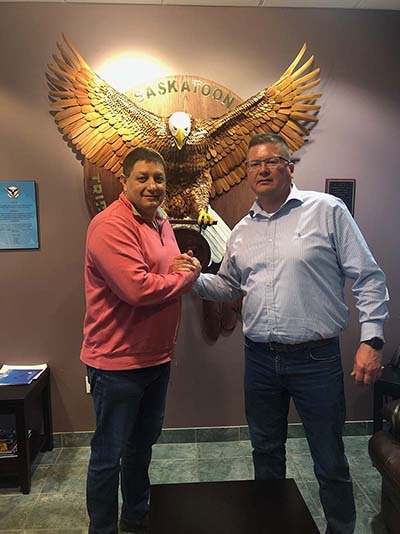 I am proud to announce that I have met with Tribal Chief Marc Arcand of the Saskatoon Tribal Council and have come to a understanding for our urban members who live in the City of Saskatoon. The STC provides services in the city limits of Saskatoon so our members can utilize this service immediately. This is a huge step when it comes to Nation to Nation building and working together for our future generations. This is a great step for the Ochapowace Urban members living in the city of Saskatoon. Please utilize the services that Saskatoon Tribal Council will provide. In the near future Cassandra Taypotat will set a date and location for the above services that STC provides and will be doing an information session in Saskatoon for our Urban members. I would like to thank Tribal Chief Marc Arcand and Saskatoon Tribal Council for providing the services and a central hub for our Saskatoon Urban members.